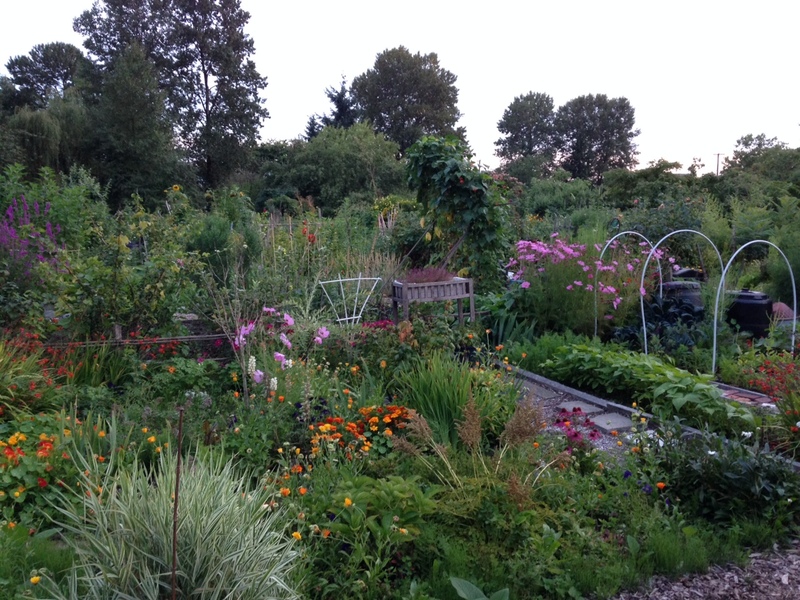 Yesterday evening I accepted my friend’s invitation to visit Strathcona Community Garden. This is the third year that she has had a plot at the garden, and her space contains more food than my garden does. She has a green thumb which she takes for granted, having inherited it from her farming family. 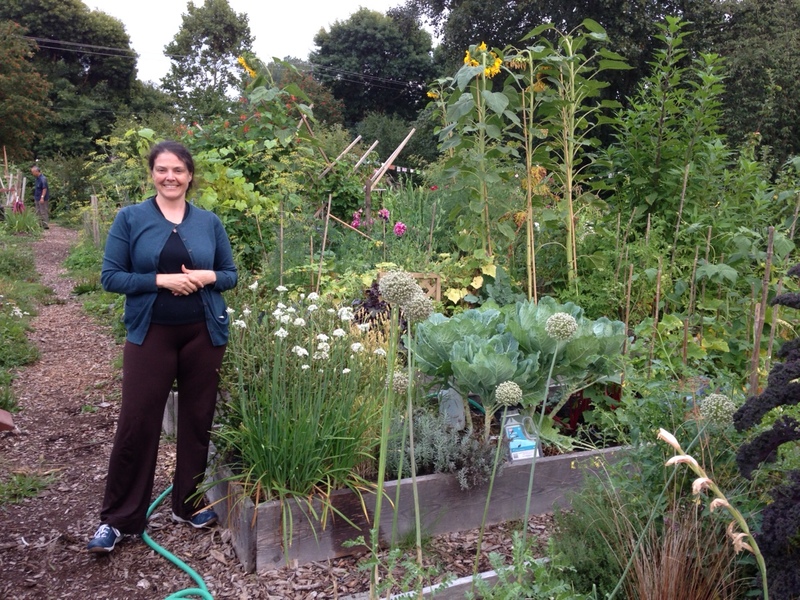 Great picture of my friend standing next to her verdant garden. You can see that her thumb really isn’t green. 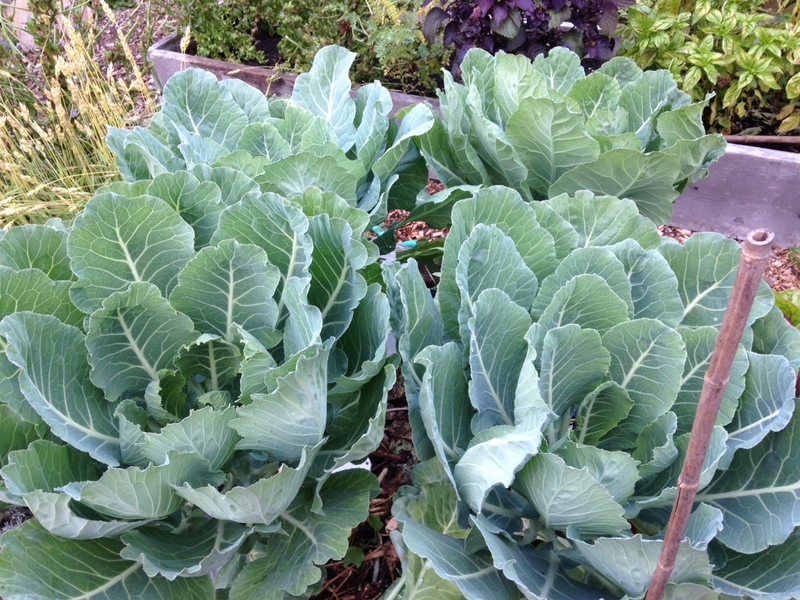 From this picture you can get a sense of how large the collards actually are. The giant tomatoes are not visible in this picture. 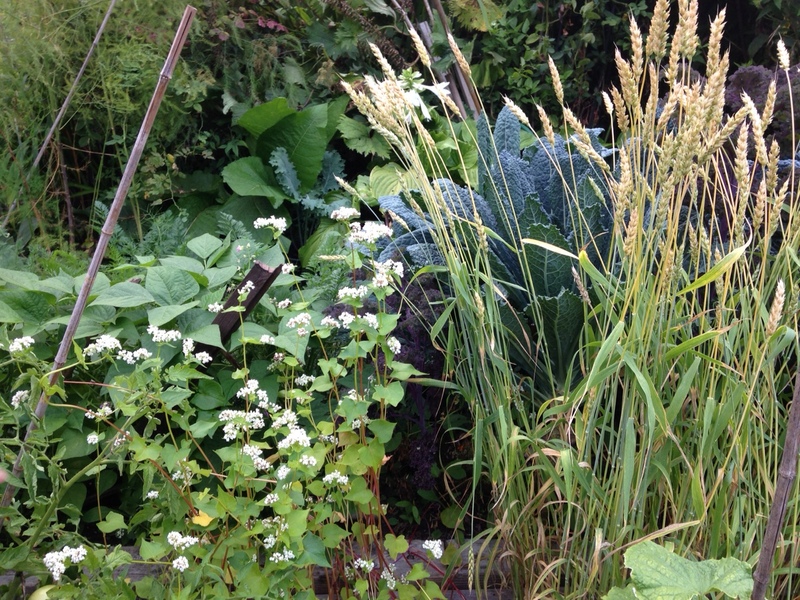 A close up of buckwheat (with the white flowers) and wheat. In the background are her neighbour’s purple beans and kale. Seriously inspiring: chickpeas. I might try to grow some next year as well. 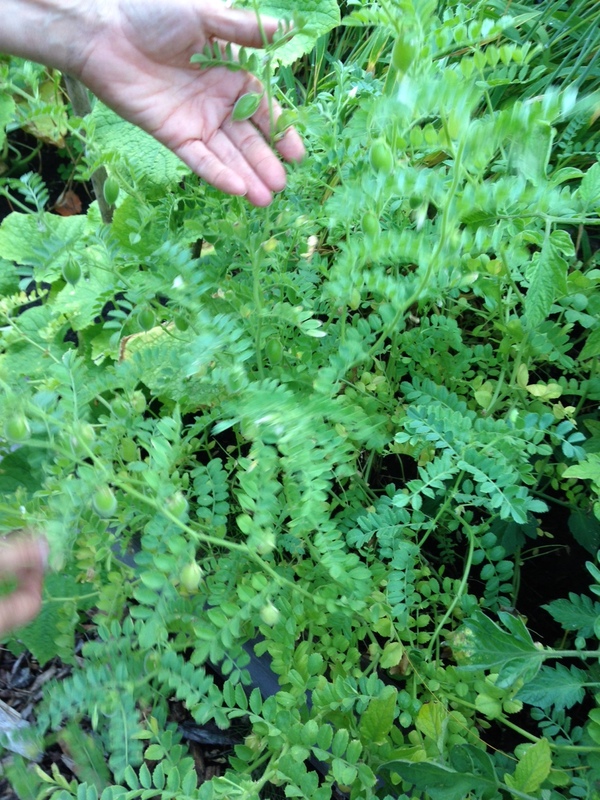 The chickpeas grow in individual pods, unlike peas and beans. The aforementioned super-gigantic collards, enough to feed a family of eight…for about a month. You can use the leaves as taco shells if you are a raw foodie. 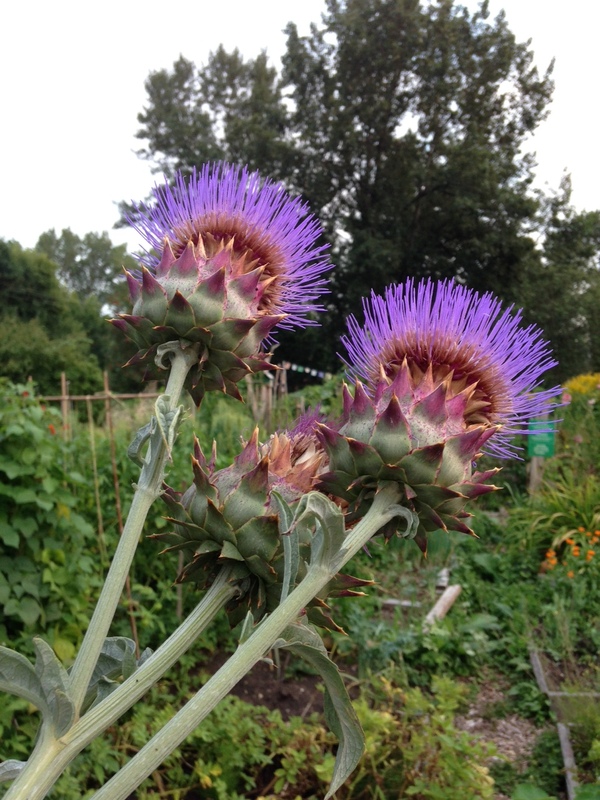 These artichokes were blooming on someone else’s plot, but were so pretty I had to take a picture. The Strathcona community garden has a wild feel and even though it was still light, there were few other people around. 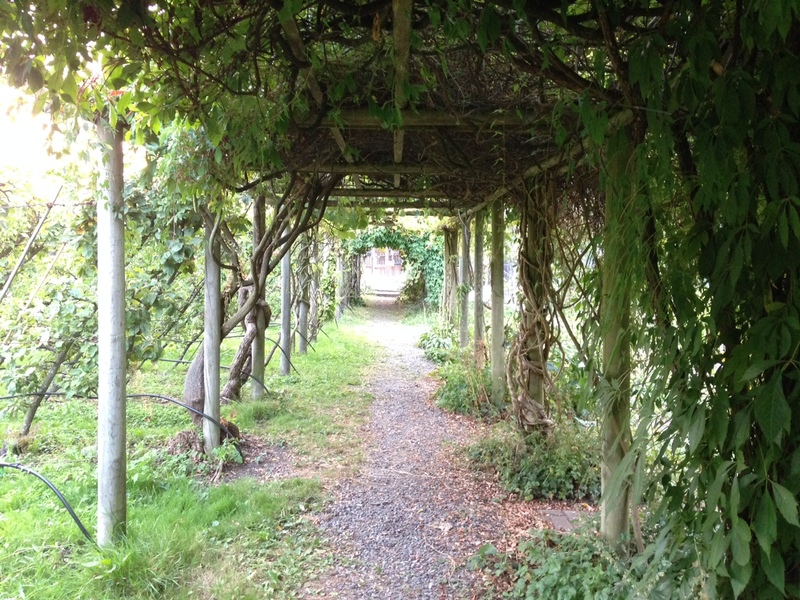 The space is unexpectedly large, especially at the south end where the arbor and huge orchard are located. We admired how gardeners’ style is reflected in their choice of vegetation and how they maintain their space; some really try to maximize the vegetable yields and have fig trees and grapes. Others balance it out with flowers. A great evening, right at the peak of summer. Loved this so much that I Pressed It! Beautiful spaces – pictures just filled me with peace.